[Deprecated] OVR Response of "Your recommendation is under review and a decision will be forth coming"
The response "Your recommendation is under review and a decision will be forth coming" presumes the action to be taken has not been decided. Therefore upon submission of this response ICOTS automatically creates a new response to the violation report to ensure the user provides a decision in the subsequent OVR response activity. This is no longer the case with violation report activities. 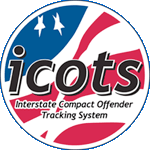 As of ICOTS Release 18.0 on May 22, 2013, this option has been removed from the response to violation report activity.